Who doesn’t love birthdays? 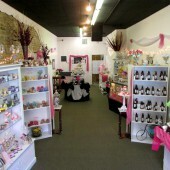 There’s always plenty of sweets, frivolity and maybe even a few presents. Best of all, birthdays are opportunities to get together with family and friends to celebrate! Of course, no birthday is complete without a birthday cake. 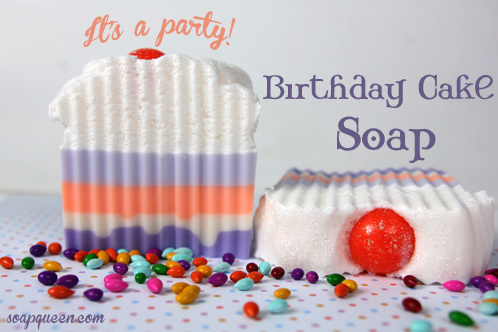 This fun (obviously Lily-inspired) Birthday Cake soap was adapted from a tutorial our friend Debbie of Soapy Love did several years ago, and we’ve added a few special twists of our own. A little frosting, plenty of glitter and lots of bright, deliciously scented layers will make this cake a hit at any party. 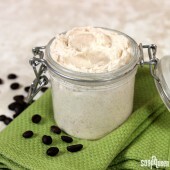 ONE: Cut 6 oz. 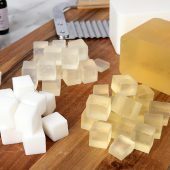 of Clear Melt & Pour into small cubes and put into a heat-safe container. 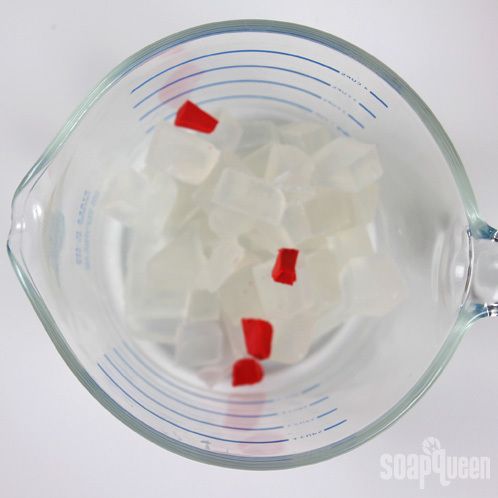 You can also cut up the Perfect Red color block and add them to the cubes. 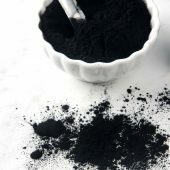 Color blocks are WYSIWYG, so add more of the block for a darker color. Note: The Perfect Red color block is a non-bleeding color. That’s important for this design. Not sure what “Non-Bleeding” means? We have you covered here with an explanation. 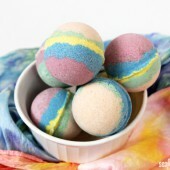 TWO: Melt the soap on 30 second bursts, stirring between each heat. 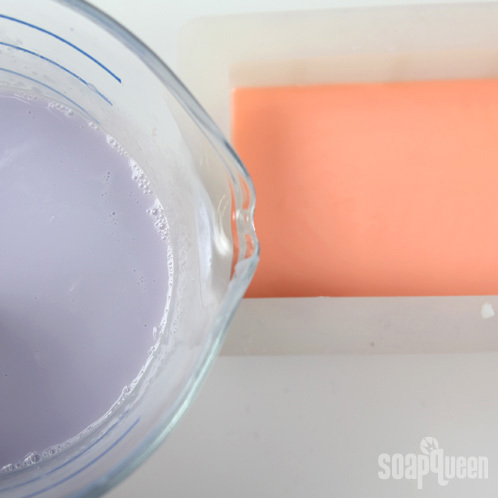 Once the soap chunks are fully melted and the colorant is incorporated, pour into the silicone mold. 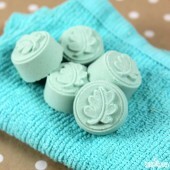 THREE: Spray the soaps with isopropyl alcohol and allow to sit for 1 – 2 hours before unmolding. 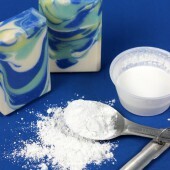 ONE: Cut and melt 12 oz. 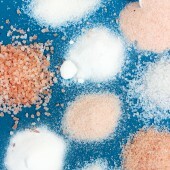 of White Melt & Pour base in a heat safe container. 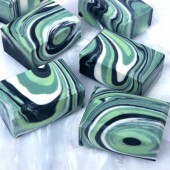 Heat the soap on 30 second bursts, stirring between each heat. 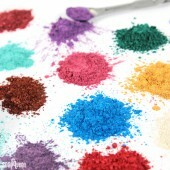 Shave off chunks of the Ultraviolet Color Block and add into the mixture until you reach your desired color. 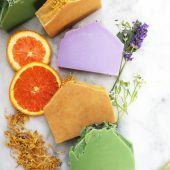 Add 4 mL of Hungarian Lavender essential oil and stir until the oil and color have been fully incorporated into the soap. 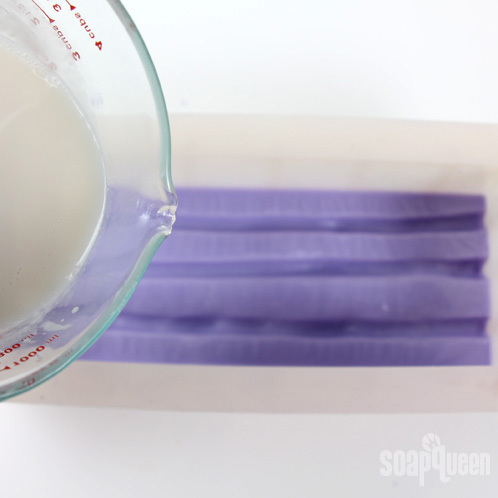 TWO: Pour the lavender soap into the loaf mold and spray liberally with isopropyl alcohol. 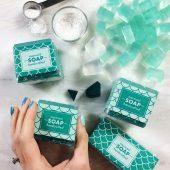 THREE: Allow the soap to form a thick skin on top but remain soft enough so that you can push a dent into it with your finger. 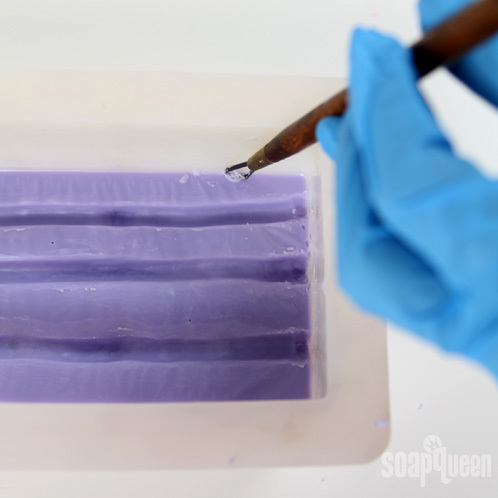 Using an object with a blunt end, make grooves in the soap from end to end. We used the end of a paint brush to make three grooves. 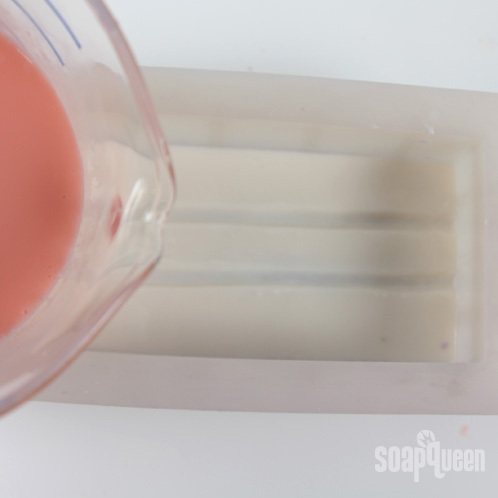 Use a clean up tool to tidy up the grooves or any soap that ended up on the sides of the mold. 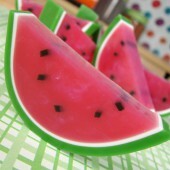 FOUR: Set the mold aside and start making the second layer. 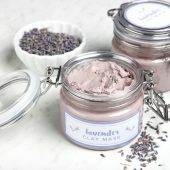 Cut and melt 8 oz. 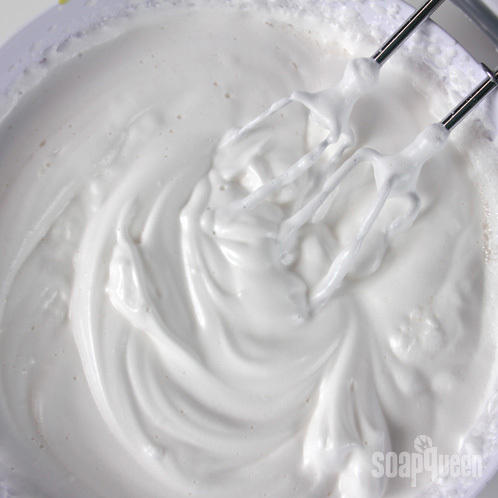 of White Melt & Pour base and add 5 mL of ButterCream & Snickerdoodle Fragrance oil. 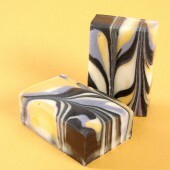 Because this oil contains vanillin — which discolors soap — add 5 mL of Vanilla Color Stabilizer to keep the soap white. 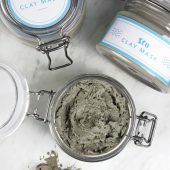 It’s important to do the layers quickly one right after another as soon as the first layer is hardened to give the layers the best chance of adhering to one another. 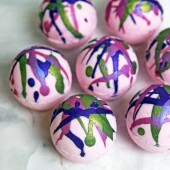 FIVE: Spray the purple layer with isopropyl alcohol, and then pour the white layer. 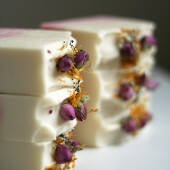 Be sure the lavender soap has hardened to the point where the white soap wont break through. SIX Once the white layer has solidified but not fully hardened, use the same technique as before to make grooves in the white soap. SEVEN: Cut and melt 12 oz. 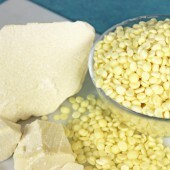 of White Melt & Pour base in a heat safe container. 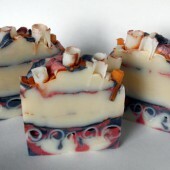 Heat the soap on 30 second bursts, stirring between each heat. 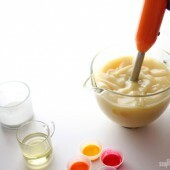 Shave off chunks of the Tangerine Wow color block and add into the mixture until you reach your desired color. 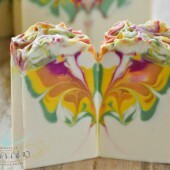 Add 7 mL of Creamsicle Cybilla fragrance oil and stir until the oil and color have been fully incorporated into the soap. 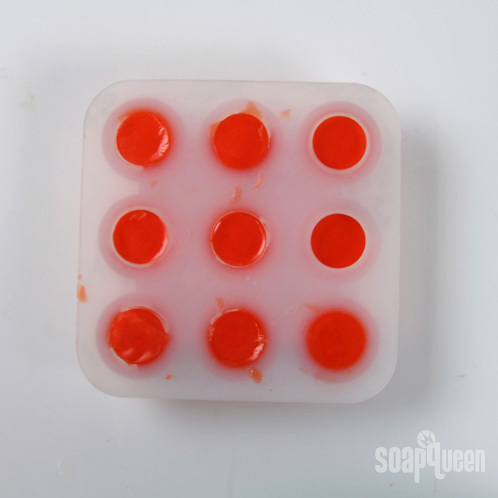 EIGHT: Spray the white layer with isopropyl alcohol, and then pour the orange layer. 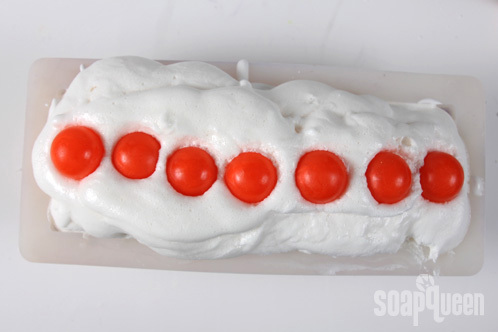 Be sure the white soap has hardened to the point where the orange soap wont break through. 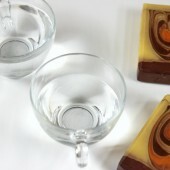 NINE: Cut and melt 14 oz. 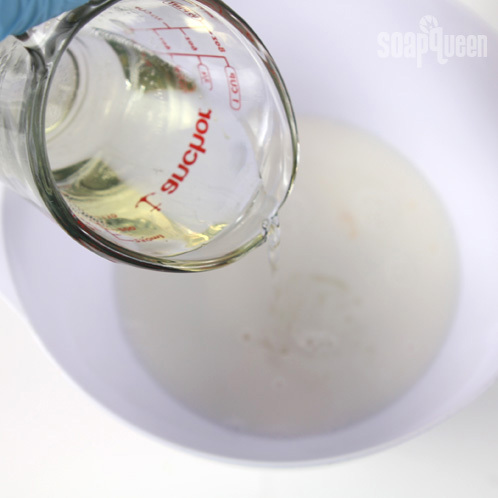 of White Melt & Pour base in a heat safe container. 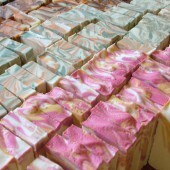 Heat the soap on 30 second bursts, stirring between each heat. 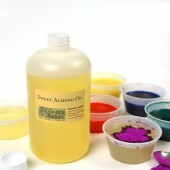 Shave off chunks of the Ultramarine Violet color block and add into the mixture until you reach your desired color. 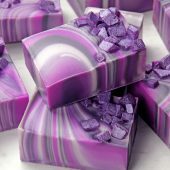 Add 8 mL of Hungarian Lavender essential oil and stir until the oil and color have been fully incorporated into the soap. 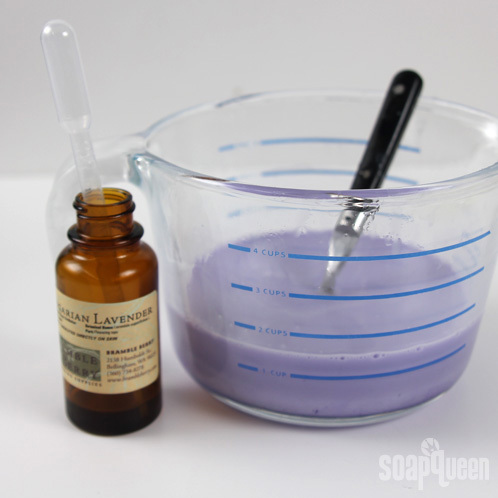 TEN: Spray the orange layer with isopropyl alcohol, and then pour the lavender layer. 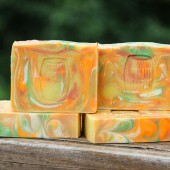 Be sure the orange soap has hardened to the point where the lavender soap wont break through. 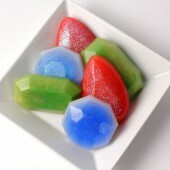 ONE: Cut and melt 8 oz. 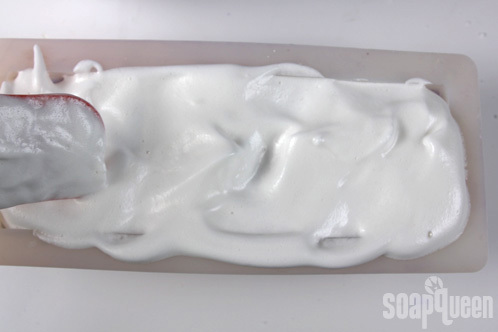 of White Melt & Pour base. 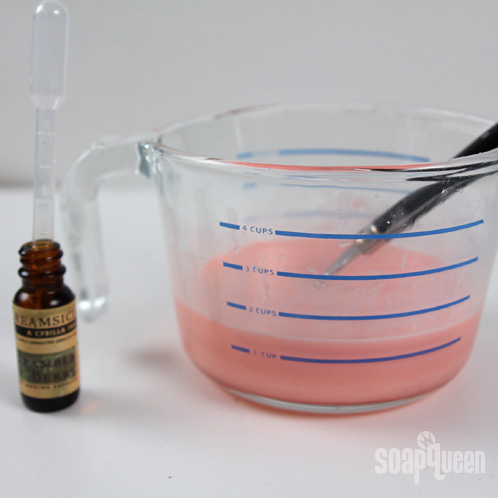 Pour into a larger container, and then add 2 oz. 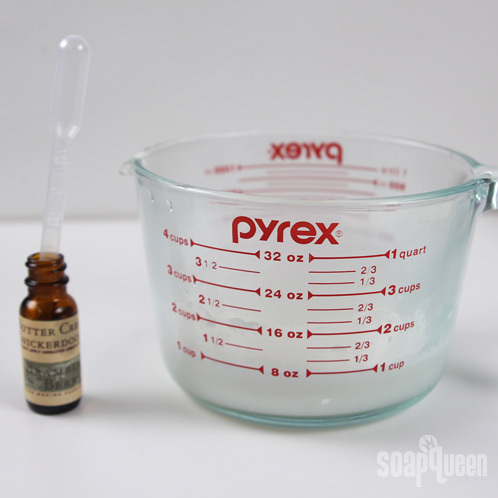 of Liquid Castille Soap Base. 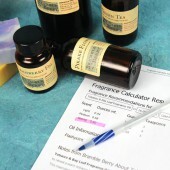 TWO: Add 3 mL of Buttercream & Snickerdoodle fragrance oil. 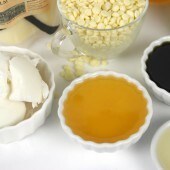 Because this oil contains vanillin — which discolors soap — add 3 mL of Vanilla Color Stabilizer to keep the frosting white. 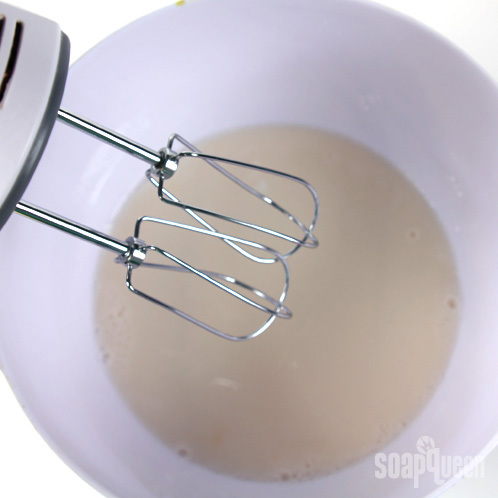 THREE: Whip the ingredients together with a hand mixer. 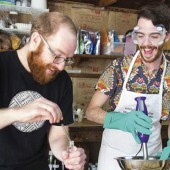 Start out on medium, and turn up the speed to high after one minute. 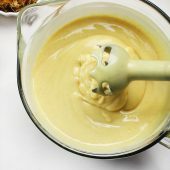 Mix until the frosting forms peaks. 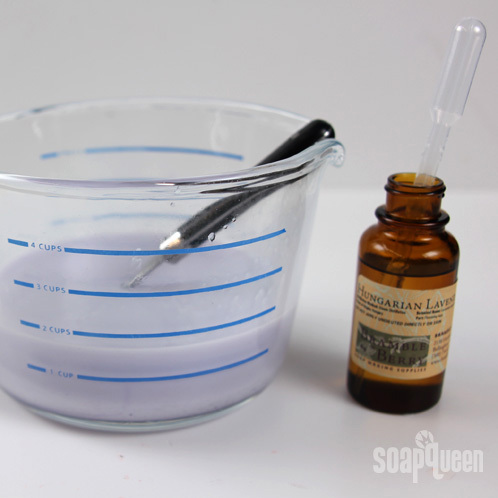 Tip: This mixture will foam up and grow very quickly! 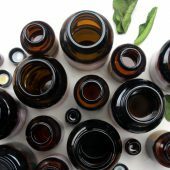 Spray with a bit of isopropyl alcohol as you mix to keep it from flowing over the sides of the container. 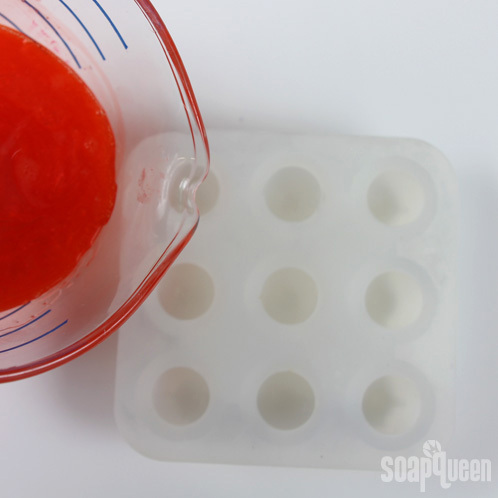 FOUR: Use a spatula to quickly frost the top of the soap. 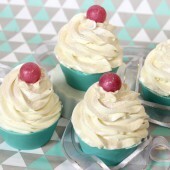 FIVE: Wait a few minutes for the frosting to firm up before placing the cherries. 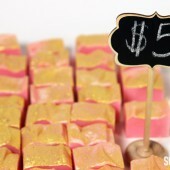 Finish off with a little iridescent glitter on top and you’ve got yourself a soap that looks good enough to eat! Next Post: Soap Crafting Advance Copy Has Arrived! 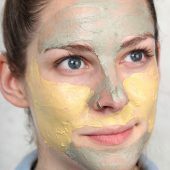 Hi First off I love your products . 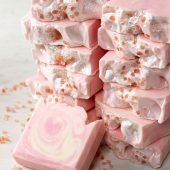 I have a question that I can’t find the answer to can you add freeze dried fruit powder to melt and pour soap ? Thanks and keep up the fantastic work! 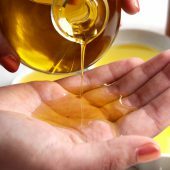 I don’t have any liquid castile soap on hand..was wondering if you can replace it with liquid glycerin for the frosting for the same effect? 1) Any tips on de-molding? I’ve pulled the sides away from it, but the loaf doesn’t want to budge. 2) Any tips on mixing the color blocks? 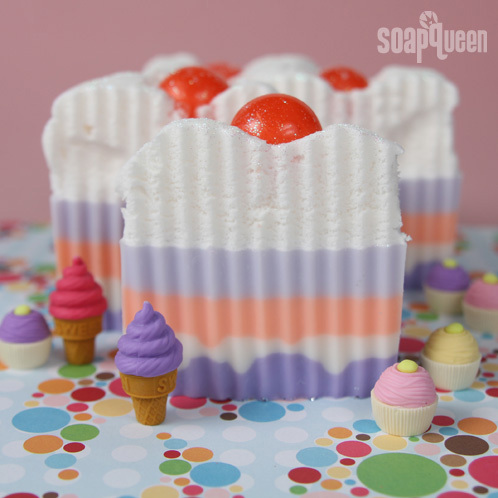 I thought I had done a fairly decent job but I see lots of speckles of color in the soap (the cherries on top and I can see through the mold on the bottom). Just put the entire block in the fridge for 20 minutes and see if that helps with the unmolding =) You are right to be gentle, gentle. 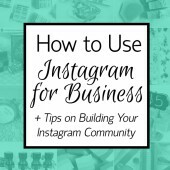 I’m so glad you tried the project! 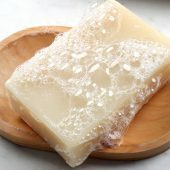 Could you substitute the Liquid Soap Concentrate for the Liquid Castile Soap Base? 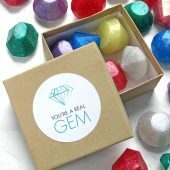 These will be perfect for birthday party favors and everyone will love going home with something that smells so delicious! 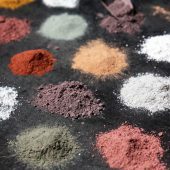 We can’t wait to see your projects on Bramble Berry’s Facebook page and I will definitely be keeping my eyes out for them. 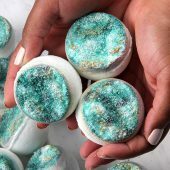 One of your e-mails was about this soap tutorial, then came another one about how the advance copy of your book was ready and how you’re still taking pre-orders. (I’ve already pre-ordered – can’t wait!) 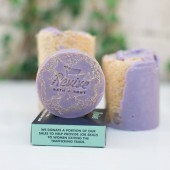 I briefly skimmed it earlier, but when I went back to it to read again, it linked me back to this birthday cake soap! ??? 🙂 Where’d it go? 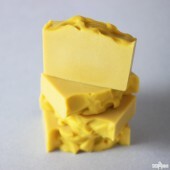 If I add Shea butter to my melt and pour soap will it have to cure? 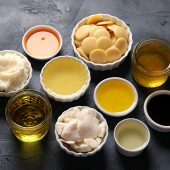 We don’t suggest adding any extra oils or butters to your melt and pour bases because it can actually change the consistency of your final product. 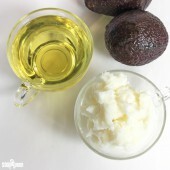 However if you’ve already purchased your Melt & Pour base you can get away with adding no more than 1 tablespoon per pound of Shea Butter to your M&P base without drastically changing the consistency of it. 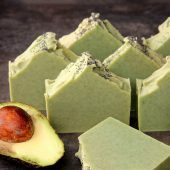 M&P soaps have actually cured, and the only time you need to let a soap recipe cure is when you have used lye in your recipe. 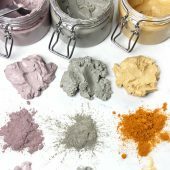 If you wanted to have shea butter in your M&P, I’d actually suggest using our Shea Butter Melt and Pour Melt and Pour Base! 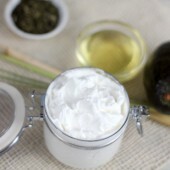 You could sub out the white melt and pour base in this project for the shea. That is so cute!! I’m going to have to keep working on the frosting part because that tends to solidify on me before I have a chance to make it look pretty. Ohhhh!! 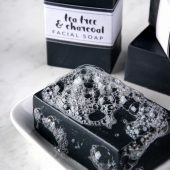 Gorgeous and funny soap!. GORGEOUS! 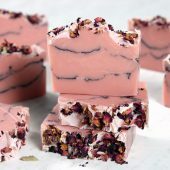 I love it – I love that you used the M&P to make this (since I haven’t gotten brave enough to try cold process yet, lol). 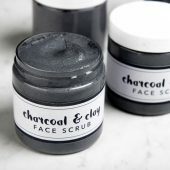 I can’t wait to try this! Yummy!! 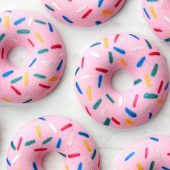 Does the frosting harden up, or stay a little soft? 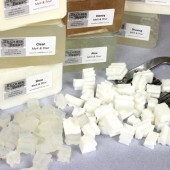 And would other melt and pour soap bases work as well, like goat’s milk or shea? Thank you! 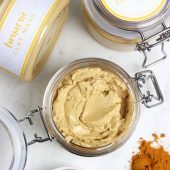 Looks great, can’t wait to try it!